Tottenham have issued bans to 'several' supporters for standing at their new stadium. After a series of setbacks, Tottenham Hotspur Stadium finally opened earlier this month, the Premier League visit of Crystal Palace the first game to be played at the ground. Since then, they have played just one more home game: Tuesday night's Champions League quarter-final first leg win over Manchester City. 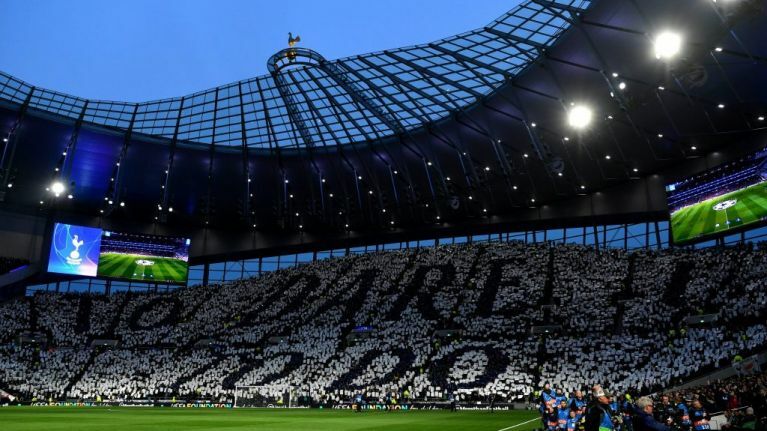 Despite the fact that only two matches have been played at their new home, an email sent by Spurs to some of the club's supporters explained that they had decided to ban some fans for persistent standing. 'It is important that everyone is able to see the match and enjoy it,' the email reads. 'We appreciate that fans will rise up at key moments in the match. The length of the bans, the BBC reports, is unknown. Spurs play host to already-relegated Huddersfield Town in the weekend's early kick-off. They will be without Harry Kane, who injured ankle ligaments during the 1-0 win over City in midweek. The injury seems likely to rule the England international out for the remainder of the season, though he may return in time for the Champions League final in early June should Spurs make it. Louis van Gaal says choosing Man Utd over Tottenham may have been "wrong choice"